Each tin contains 10g of product. 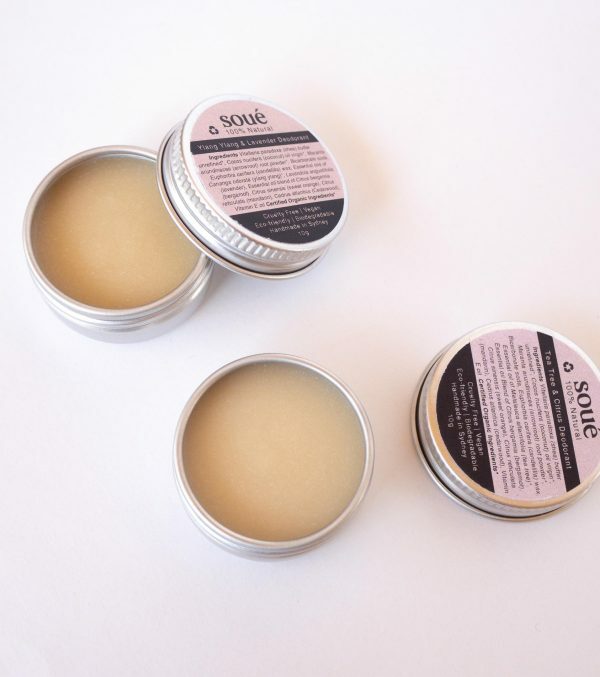 This natural deodorant neutralises any odour-causing bacteria, allowing your body to sweat naturally without any of the nasty smells. Shea butter and Coconut oil help to soothe and hydrate the skin while essential oils help to keep you smelling fresh! 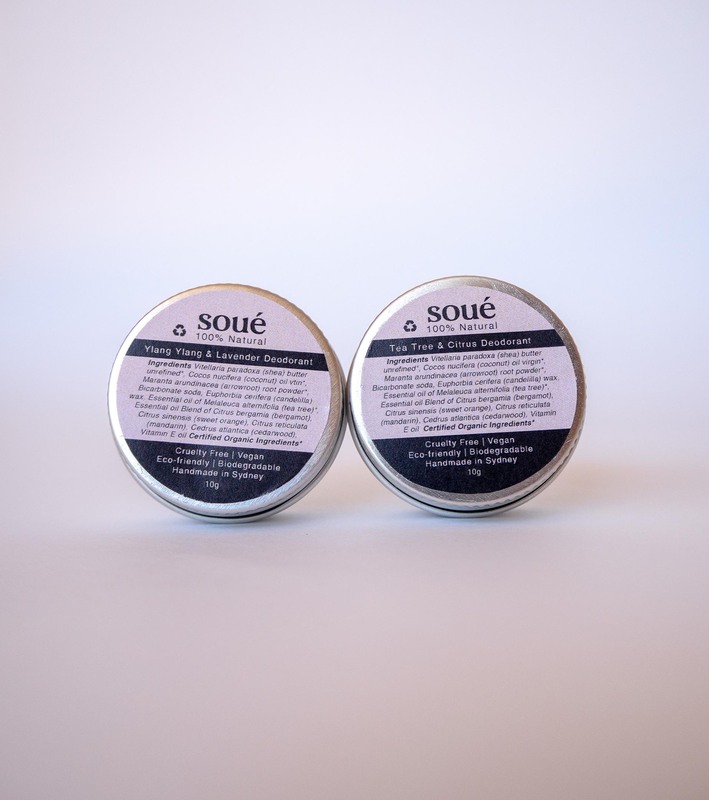 This deodorant comes in an aluminium screw top tin which can be reused or recycled. All Soué products are small batch, handmade and poured in Sydney! Storage: Store below 30°C in a cool dry place. Glass Jar Application: Take a pea sized amount with your fingers or spatula and massage an even layer onto your underarms. If you are new to natural deodorants your body may need time to adjust from your old antiperspirant deodorant. Some people may experience some redness or a need to re-apply a few times a day during their body’s detox period (few days or up to two weeks). But don’t give up! Sweating is great for your body, it helps regulate your body temperature and expel toxins so don’t be afraid of it! Please note that some people may be extra sensitive to bicarbonate soda due to its alkaline pH levels. Most people will adjust during the detox period but if you develop any irritated rash which does not go away after a few days we recommend you discontinue use. You can reuse this jar once the product is finished or recycle it. 2018 All rights reserved. Created by Insomniac Designs.